Liquor.com, an expert guide for all things cocktails and spirits, highlighted The Lobby Lounge bartender, Chris Enns as he was recently awarded the Woodford Reserve Master of the Manhattan! This global cocktail competition saw hundreds of bartenders submit their recipes for the 2018 Woodford Reserve Manhattan experience and only 40 of them reached the semi-finals in Kentucky. And after an unforgettable and highly competitive competition, six bartenders advanced to the finale (Chris was the only Canadian to compete in the finals). They faced off at the Nomad Bar in New York City, all competing for the title of Master of Manhattan and a trip to London, England. Chris Enns came out on top as the winner, and one of his competing cocktails will make an appearance on an upcoming menu at The Lobby Lounge. Liquor.com recently sat down with Chris just before the finals to hear about his experience making it all the way to New York City. The full Kentucky experience: I’ll always remember going to Kentucky and seeing the beautiful Woodford Reserve distillery site, with the impressive copper stills, active barrel run and beautiful sounding creek with Canadian geese. And being a horse racing fan, touring Churchill Downs was a thrill. The camaraderie: The best part so far has been becoming friends with the other bartenders. Now I can travel across North America and have friends and barstools ready. It really is the greatest thing we can take away from this competition. The magic of the Manhattan: The Manhattan is my favorite drink to order. It’s simple enough to make for friends at home but also gives professional bartenders the perfect template to show off their creativity and personality. 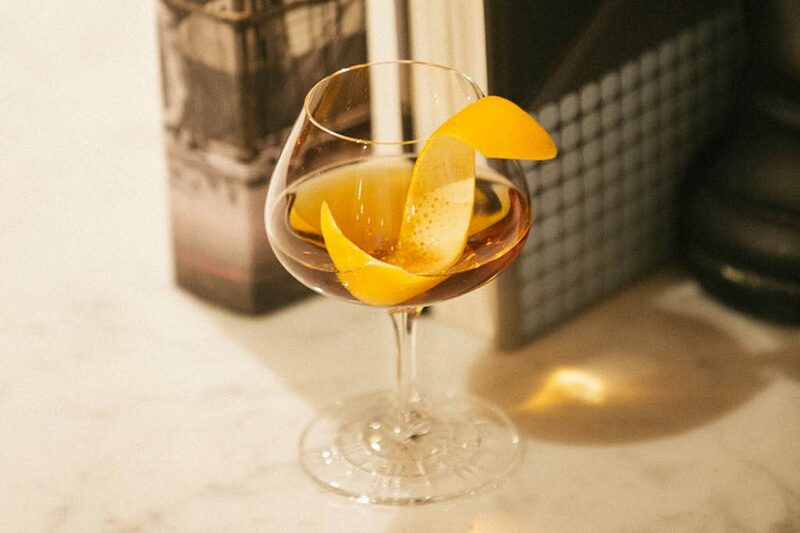 Enns’ The Only Woodford Manhattan: Enns’ deep knowledge and respect for the Manhattan shines through in his subtle twist on the classic recipe. Its use of cherry liqueur brings in the flavor of what’s usually just the garnish.